Convenient and fast nappy delivery service on Majorca! 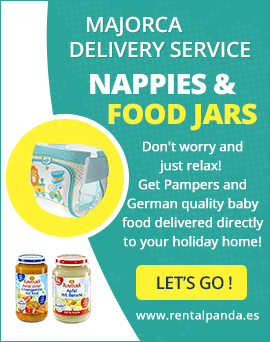 Get the well-known and popular German Lidl nappies directly delivered to your holiday home here on the island! The LIDL Sensitive Baby Wipes provide extra gentle care and cleaning with proven skin friendliness. Get them delivered to your holiday home in Majorca together with your nappies. Our nappy delivery service provides you with the original Pampers Baby Dry nappies in sizes 3-5. 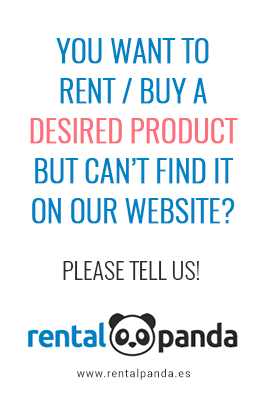 Easily get your Pampers delivered by us to your holiday home! The Pampers Fresh Clean wipes stand out by their extremely high-quality. They have a refreshing fragrance and are characterized by a particularly balanced moisture content for sensitive skin. Get them delivered together with your nappies!